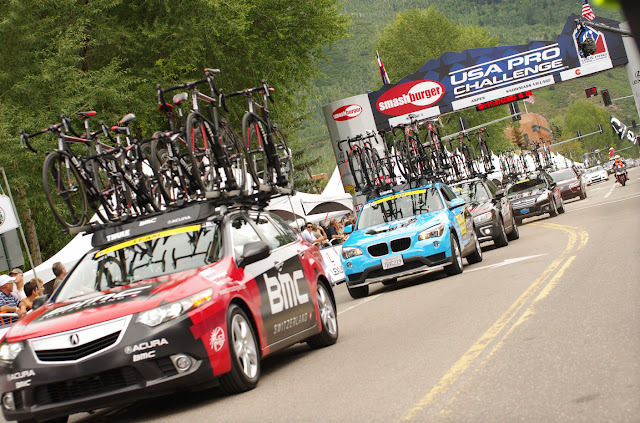 The USA Pro challenge is now in it's fifth year, every year the race begins in a new city, this year that honor goes to Steamboat Springs where the race begins on August 17th. Highlights for the race in 2015 include two passes over Independence Pass, an individual time trial in Breckenridge, an eventful four days in Steamboat Springs to start the race, a climb up Rist Canyon and Lookout Mountain, two first-ever visits to Arapahoe Basin and Cooper Mountain Resort, and a final four lap circuit in downtown Denver before the big finish in front of the Stage Capital. Expect a very nice week in Colorado. Opportunities to be a fan along the route abound and are free (unless you prefer to purchase a VIP ticket or package experience). Being a spectator is an excellent family activity. If you enjoy cycling - bring your bike and pedal the same roads as the pros. The race continues to be popular with both fans and pro racers who give praise to organizers and look forward to returning with their teams year after year. NEWS & UPDATES I keep this Guide Page updated constantly! 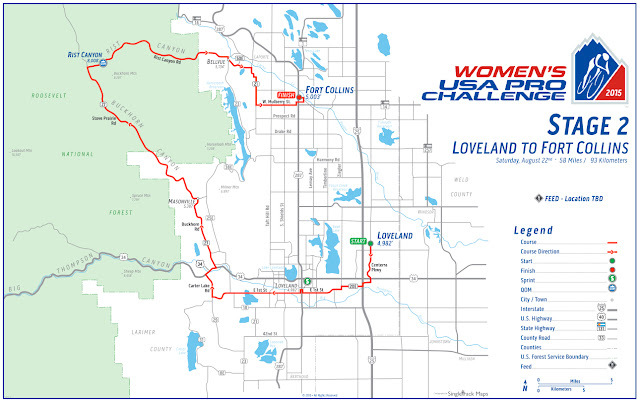 Road Closures: which roads will be closed for the USA Pro Challenge in your town this year? cotrip.org - travel advisories for roads along the race route offering exact roads and closures times. 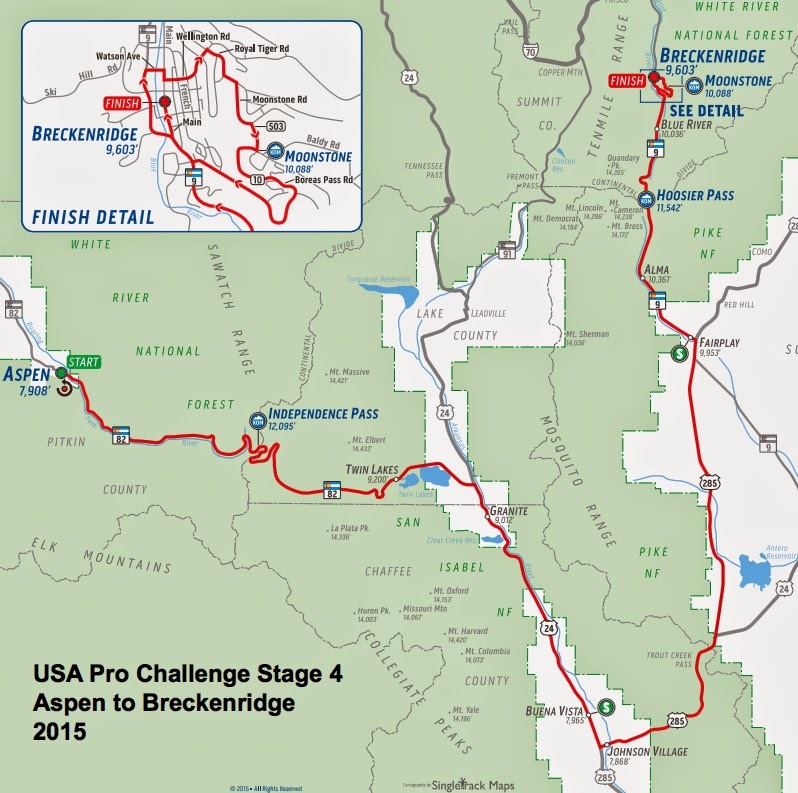 What you need to know about each stage of the USA Pro Challenge on one resource page where you will find, in order, Stage dates, stage information, VIP tickets, apparel, city tourism, town websites, local events, TV coverage, Tour Tracker app, media coverage, stage preview, recommendations, where to ride, road closures, start time, finish time, route map, climb profiles, sprint location, KOM location, results, current standings, photos, and race links. 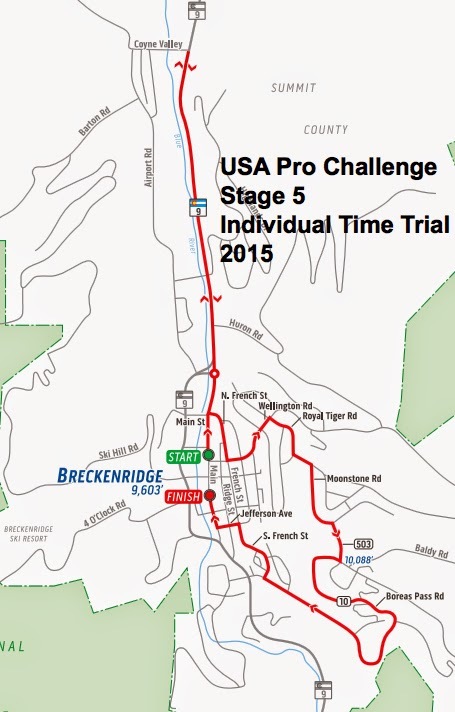 How to see Stage 5 of USA Pro Challenge 2015 - Breckenridge ITT! Buy a VIP ticket in Steamboat Springs, Fort Collin or Denver (if you can $$), but be sure to wander around outside of the VIP tent as well. Stay overnight in a host city (if you can). Stay to enjoy dinner (or listen to a concert) after a stage finish and let the traffic die down. Go to more than one stage: see a start, a finish, a mountain top, a sprint, a KOM, a feed zone (feed zone locations are not published, but signs are placed on the road). How will you see the race in 2015? 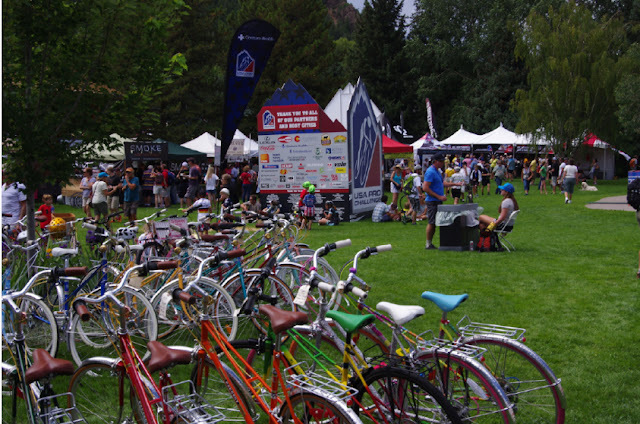 2015 will be the 5th year of this 7-day stage race which bring locals, tourists and tourist money to the state of Colorado. 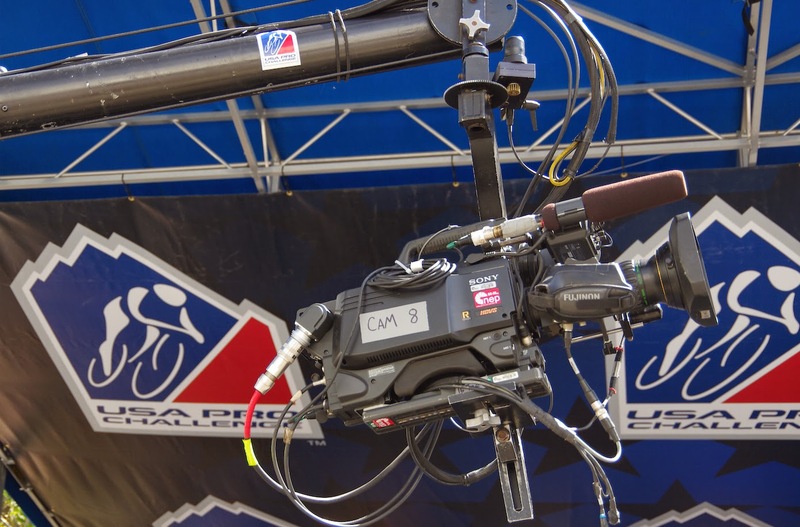 The only professional bike race in Colorado of this caliber, The USA Pro encourages fans to show up to root for their favorite riders and see who will win the overall General Classification. 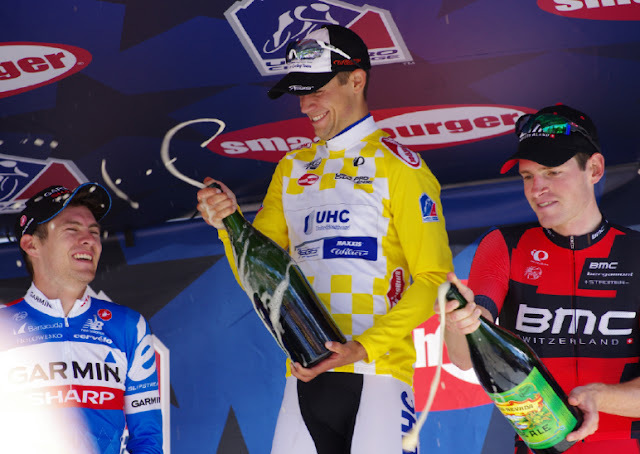 Tejay Van Garderen won the race in 2013 and 2014. 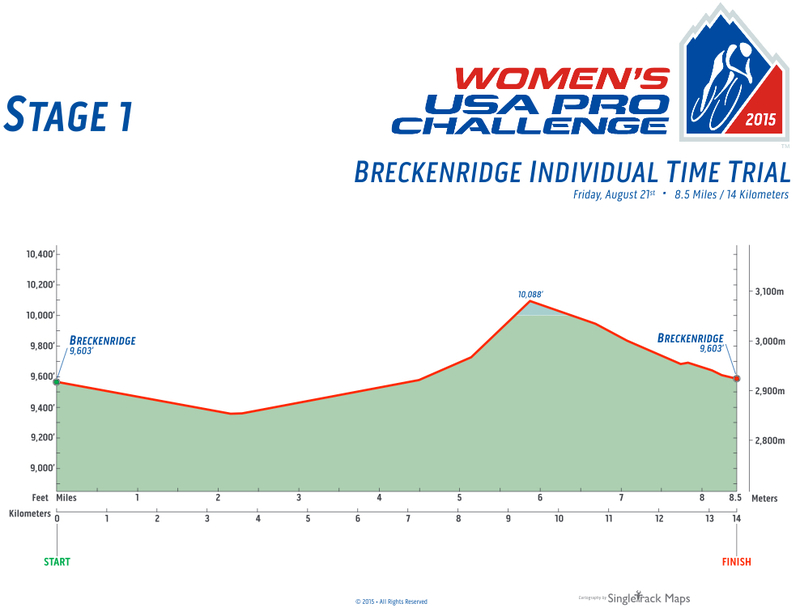 This is the first inaugural 3-day USA Cycling sanctioned invitation-only USA Pro Challenge women's stage race. The race will take place on the final weekend in the same cities as the men's race and will share parts of the men's course. 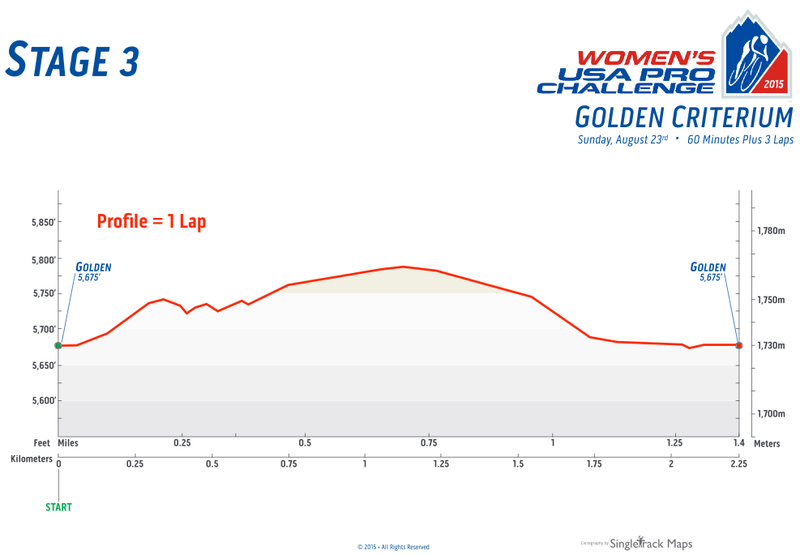 The women's race will conclude prior to the men's finish, making an excellent opportunity for fans to see both the men and women race for equal prize money. Sean Petty will serve as the Race Director for the Women’s USA Pro Challenge. Pedal Dancer® bike blog has been covering the race for five years, providing quick and easy spectator guides to each stage. Always considering the viewpoints and needs of spectators, tourists, cyclists, or straight-forward racing fans. I post stage results as well as inside stories from chasing the race. The race begins in Steamboat Springs - a welcoming cowboy ski town northwest of Denver. The following day there will be an early climb over Rabbit Mountain and a final climb to the ski station of Arapahoe Basin (ABasin) - one of my favorite roads to cycle in Colorado (especially the nearby Loveland Pass). 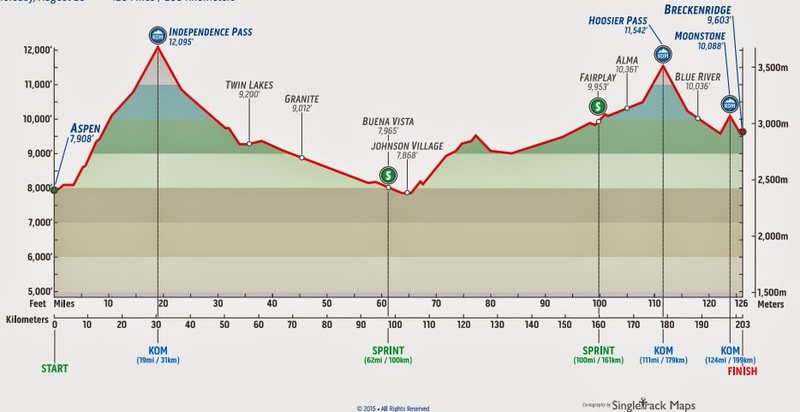 Next the peloton will depart Copper Mountain, another ski village, and climb over Fremont Pass and Independence Pass into the familiar city of Aspen. They won't stay long, the next day the riders climb back over Independence Pass once again, and Hoosier Pass to descend into Breckenridge. The next day the 9600'ft elevation individual time trial will take place. This will be a do not miss day in Breckenridge (it's a Friday). Breckenridge is an excellent choice to base the peloton and it's entourage for two nights. As welcoming as Steamboat, the city is scenic and excels at hosting large events. The peloton heads to the front range for the last two stages, racing from Loveland to Fort Collins through the magnificent Rist Canyon, and finally from Golden up Lookout Mountain into downtown Denver. 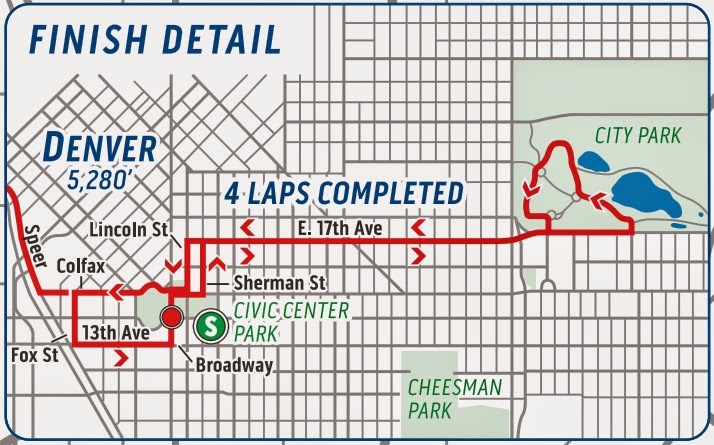 Four fast laps around the capital city will mark the end of the week long race in Colorado. Whereever you see the race - enjoy! 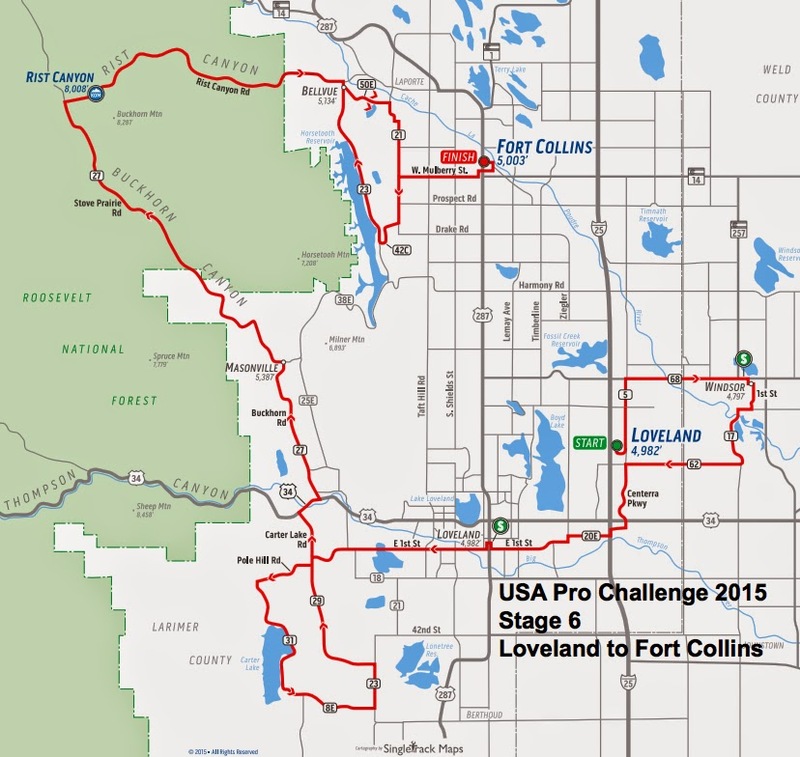 Stage 7 - Denver 8/23/2015 2:00 PM (MDT) LIVE Final! 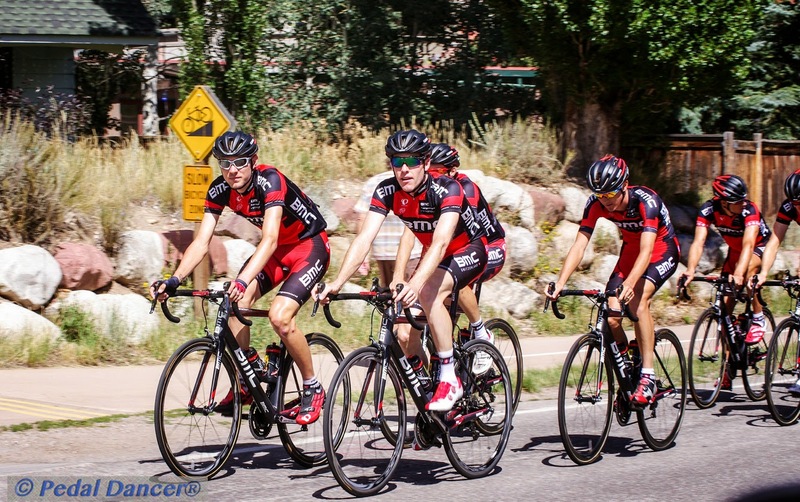 Colorado terrain delivers long road climbs, making teamwork of vital importance. 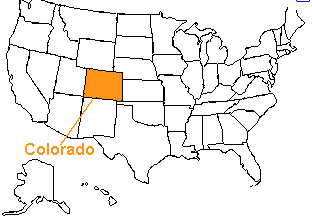 This race in Colorado also typically delivers a relatively short, at altitude, defining time trial - making for quite a combination of skills and requirements. 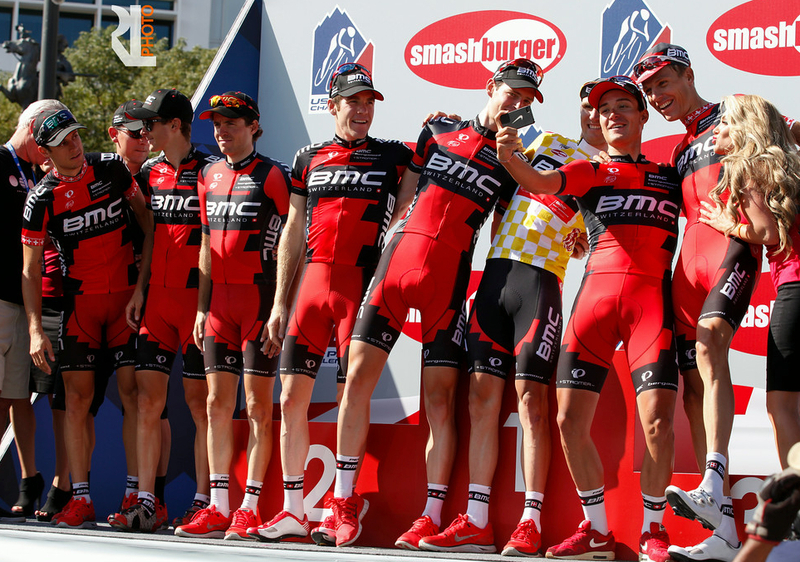 Fans can expect to see some unfamiliar names with several continental riders on the podium again this year. Although we might expect a World Tour rider to win the overall general classification, the USA Pro Challenge is always a race that gives opportunity to breakaway specialist from a pro-conti or continental team to win a stage. 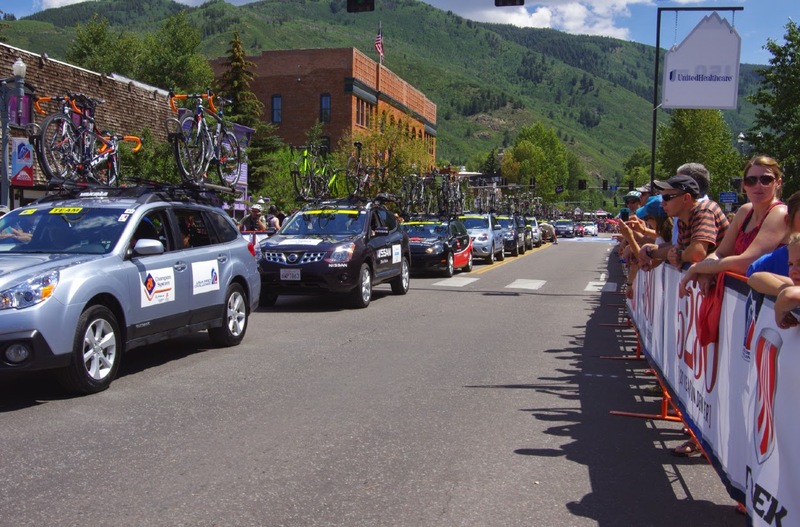 To win the USA Pro Challenge in 2015, teams will have to sacrifice greatly on Stage 1 to bring their leader close to the sprint finish line in Steamboat Springs, where a sprinter will win the stage. 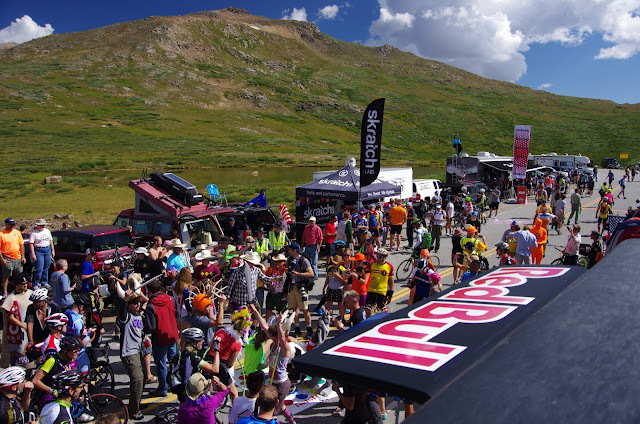 The next day, on Stage 2, strong teams must again deliver their leader as close to the 5-mile marker before Arapahoe Basin as possible. 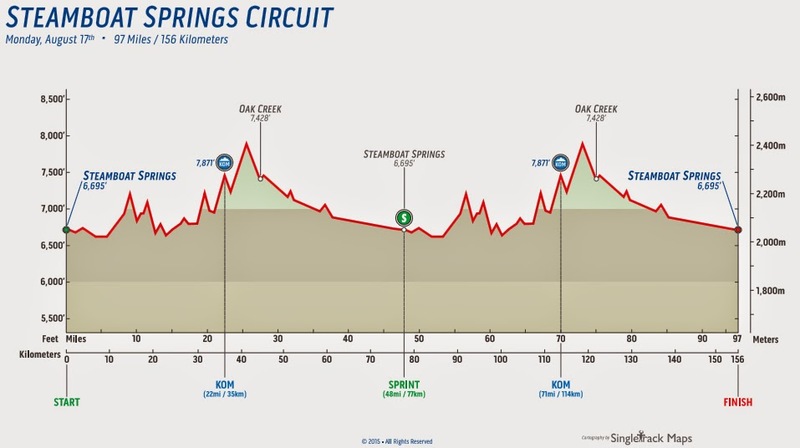 We should see the GC contenders forced to go for it in a final 5-mile strong climbing effort on a broad road to the line, although a puncheur might have already won the stage. 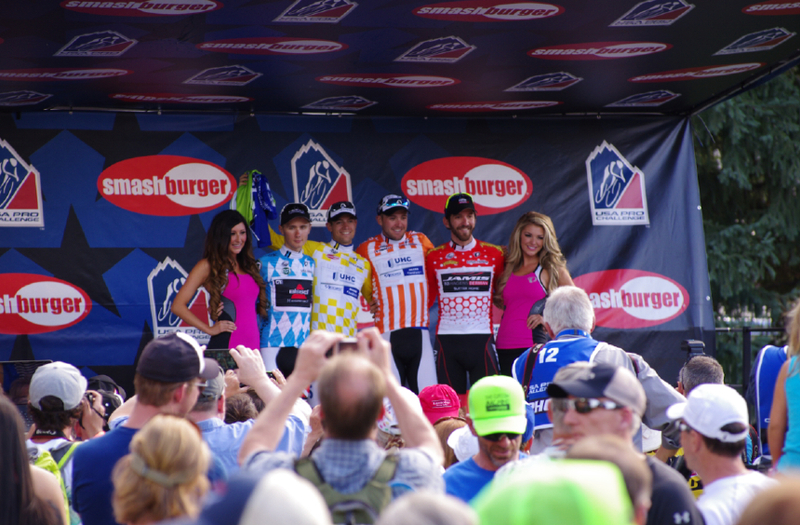 Look for the yellow jersey to change hands between Stage 1 (Steamboat) and Stage 2 (Arapahoe Basin). Root for the breakaway to stay away, or a rider in the chase group (rouleur), to win on Stage 3 (Aspen) and Stage 4 (Breckenridge finish). 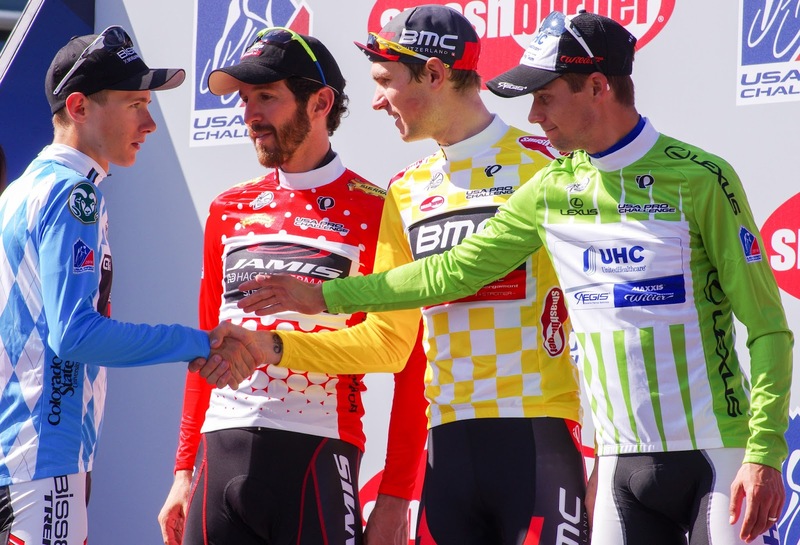 The yellow jersey will again change hands after the time trial of Stage 5 in Breckenridge. 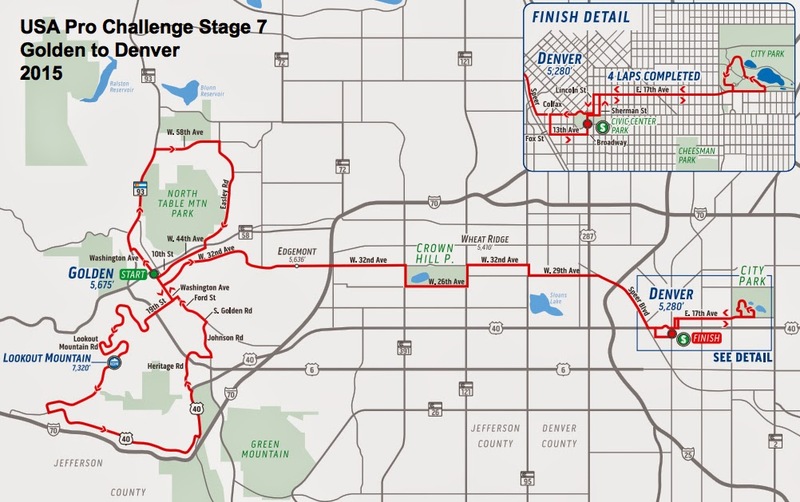 Enjoy a large sprint finish (for a tired sprinter who has climbed throughout the week) into Fort Collins on Stage 6, and again into Denver on Stage 7. There are opportunities for stage wins for a sprinter, a strong finishing climber, a powerful rouleur, a time trial specialist who can manage a twisty climbing course, but especially the chance for a true team leader to win the overall race. Since Tejay Van Garderen will not be returning in 2015 to defend his twice earned title (he will be racing in Spain in the Vuelta a Espana), we will get to witness a new pro racer's dream come true. Breakaway specialist: specializes in attacks from the start off the front in order to show off his sponsor and to try his luck to reach the finish line first. General classification rider: the racer whose eye in on the biggest prize. All roads for the circuits and individual time trial will be fully closed, other roads will have rolling road closures (see definitions below). 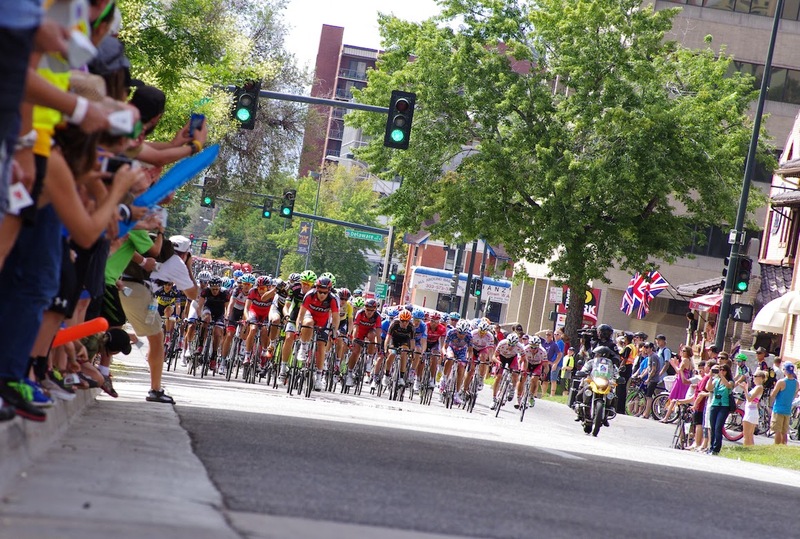 A word from race organizers: "Keep in mind that road closures and delays to motorized traffic do not apply to pedestrians and bike traffic, so why not ride your bike or park and walk to the location you want to watch the race? Both are great ways to see the action and join in on the fun and excitement of experiencing this world class event. Just be aware of your surroundings and stay on the shoulders where they're available." I would add that bikes and pedestrians are not allowed to move along CLOSED roads while the race is in progress, please find your viewing place by the time the road closes. Race Marshals and/or Police will ask you to stop and move off the road with good intentions for your safety and the safety of the racers. This section is intended to help you enjoy the race while understanding that the most important goal of race organizers is to keep the riders and citizens safe. Your goal is to allow enough time to be safe to others, not be disappointed, and arrive relaxed and ready to have FUN! Being out on the road as a fan is a fabulous experience, being in the mountains of Colorado is even better! CDOT creates an excellent website for fans regarding travel advisories for roads along the race route offering exact roads and closures times. Road closures are a key concern and all race personal and hired police take it very seriously. The CDOT website link gives detailed information regarding roads, direction of traffic halted, and times. Once you are on the website, please select from the individual stage tabs on the page to see the road closures for each stage. Local City roads and State Highways Impacted by Stage 1: CDOT detailed road closures all directions and exact times for USA Pro Challenge in Steamboat Springs and Oak Creek (select by stage tab at the left). 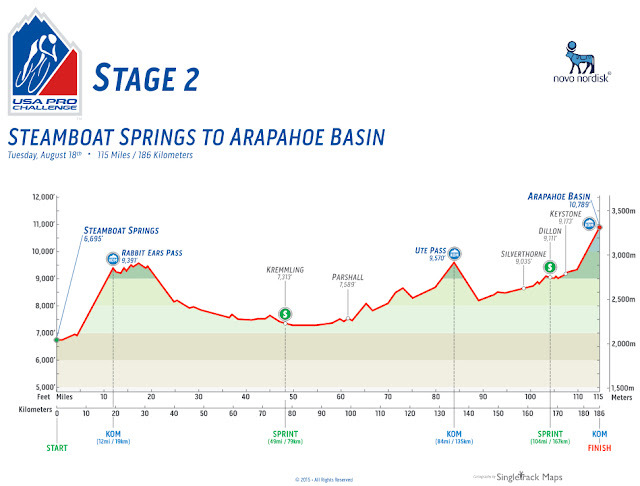 STAGE 2 - Steamboat Springs to Arapahoe Basin - * Mountain top finish! 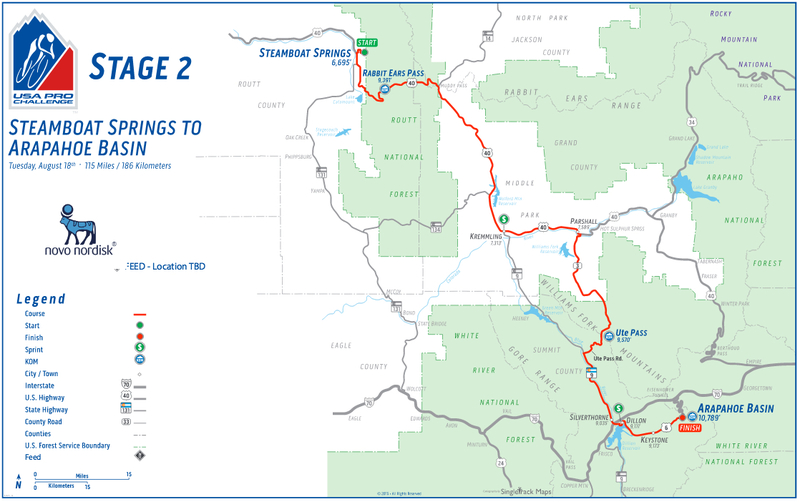 Local City roads and State Highways Impacted by Stage 2: CDOT detailed road closures all directions and exact times for USA Pro Challenge in Steamboat Springs, Kremling, Dillon to Arapahoe Basin. 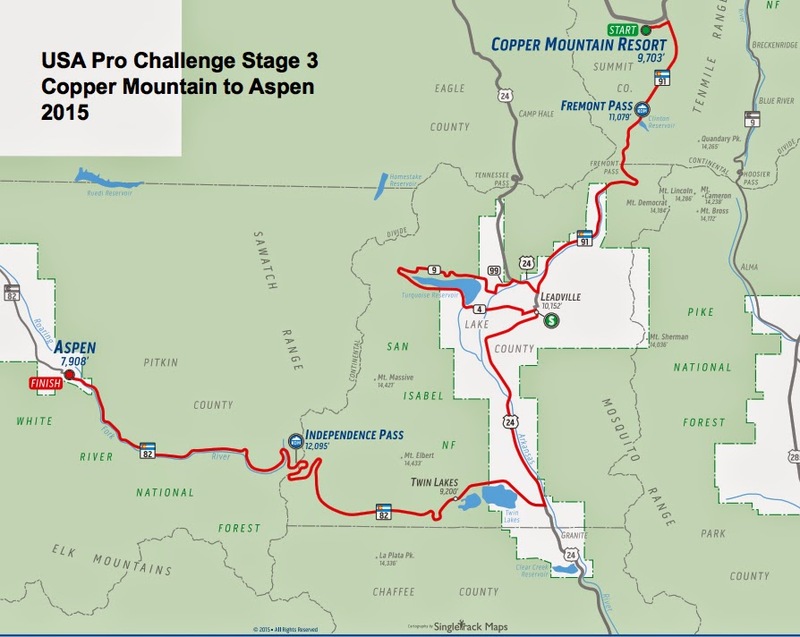 STAGE 3 - Copper Mountain to Aspen maps - high elevation! 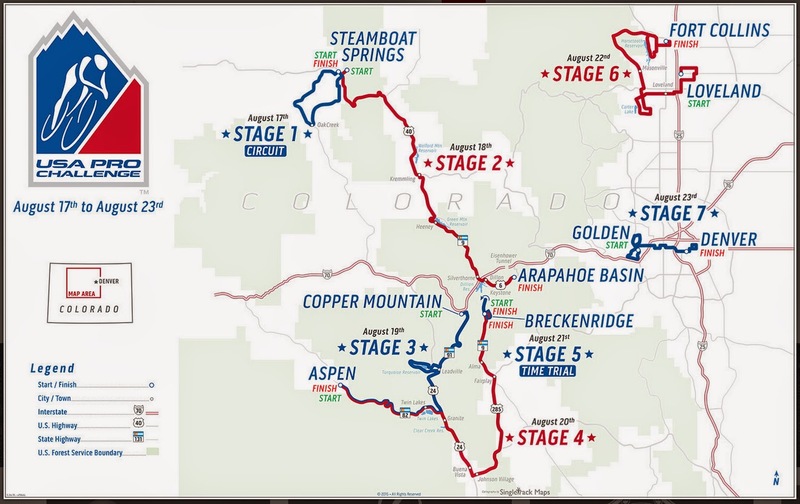 Local City roads and State Highways Impacted by Stage 3: CDOT detailed road closures all directions and exact times for USA Pro Challenge in Copper Mountain, Leadville, Twin Lakes to Aspen. The 1st stage of the women's race will take place on the same day as the men's 5th stage in Breckenridge. Be aware of early road closures. Highlights: 4+ hours of continuous action as each rider challenges himself /herself against the clock. 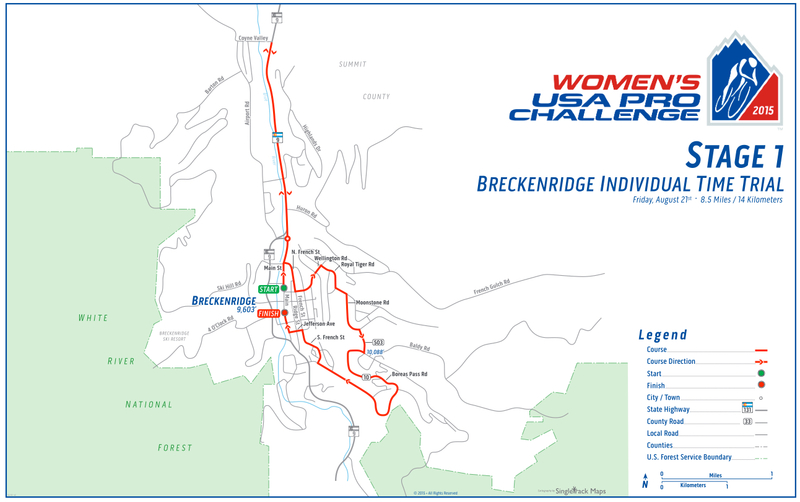 Local City roads and State Highways Impacted by Stage 5: CDOT detailed road closures all directions and exact times for USA Pro Challenge in central Breckenridge. State Highways Impacted: Highway 9, Boreas Pass rd, Wellington Rd, Royal Tiger Rd, Moonstone Rd, Jefferson Ave, Main St. 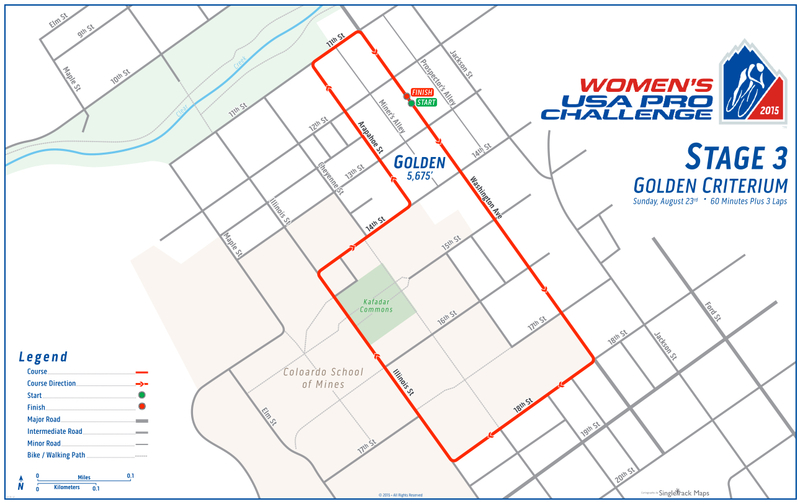 The 3rd stage of the womens race will begin and end in Golden on the same day as the men's final stage from Golden to Denver. Be aware of early road closures. It's a big year for women's racing! This will be the first inaugural 3-day USA Cycling sanctioned invitation-only USA Pro Challenge women's stage race. The race will take place on the final weekend in the same cities as the men's race and will share parts of the men's course. The women's race will conclude prior to the men's finish, making an excellent opportunity for fans to see both the men and women race for equal prize money. Sean Petty will serve as the Race Director for the Women’s USA Pro Challenge. Stage 2 Start time WOMEN: ? 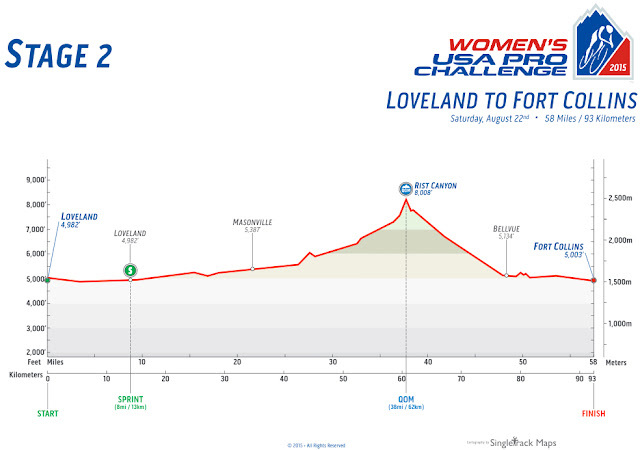 Stage 2 Finish time WOMEN: approximate ? Cyclesense 365 blog, written by the staff at the USA Pro Challenge, offers this fine list of the highest climbs in this year's USA Pro Challenge. 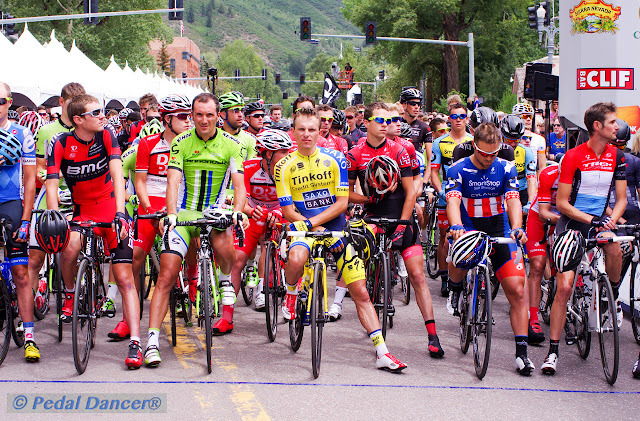 Read the blog about climbing at altitude: Riders Climb Into Thin Air at the USA Pro Challenge, by USA Pro Challenge. Please see the specific climb profile under each stage above. Race organizers have arranged an opportunity for mere mortals to race out on course on Saturday, August 15th. You can join this event ride to cycle one complete 50-mile loop of Stage 1 (the pros will do 2 loops), then relax with a beer and lunch (included). Last year, the Team Presentation was also on Saturday evening. 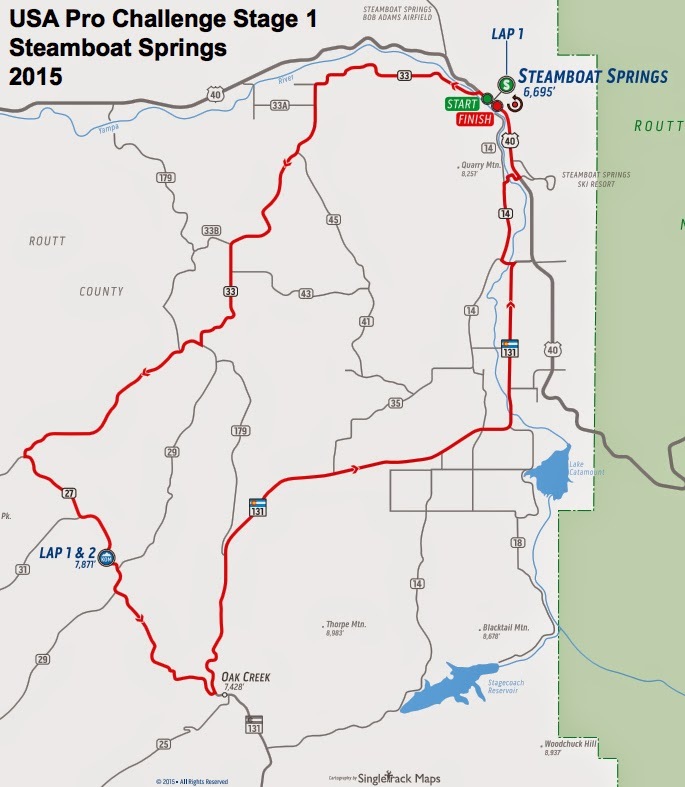 25 or 50 miles; loop ride out and back from Steamboat. 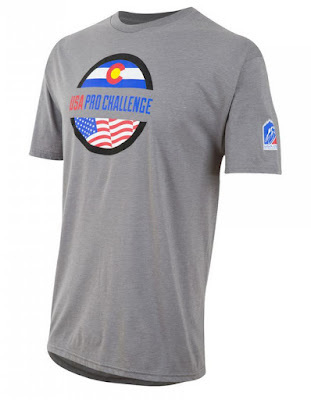 What you get: a tech tee, a pint glass, 2 beers, lunch and you get to ride 1 loop Stage 1 pro race.